This tray for Carling’s Red Cap Ale features a small picture of a jockey wearing a red cap. The tray dates to the 1940s and is a 13″ round tray. 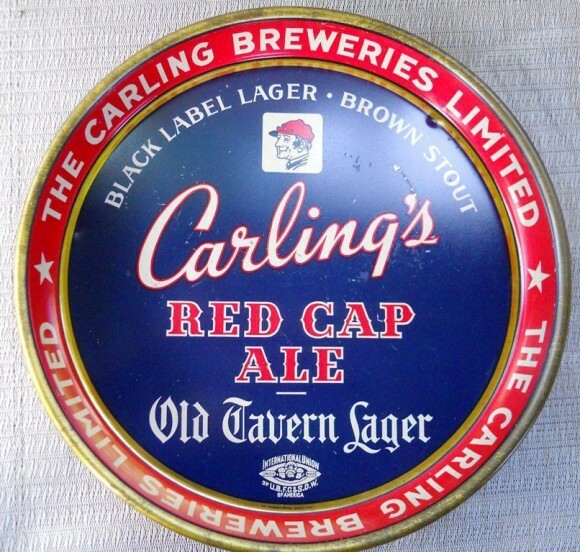 The tray also reads “Black Label Lager Brown Stout” “Carling’s Red Cap Ale” “Old Tavern Lager”. The rim reads “The Carling Breweries Limited”.